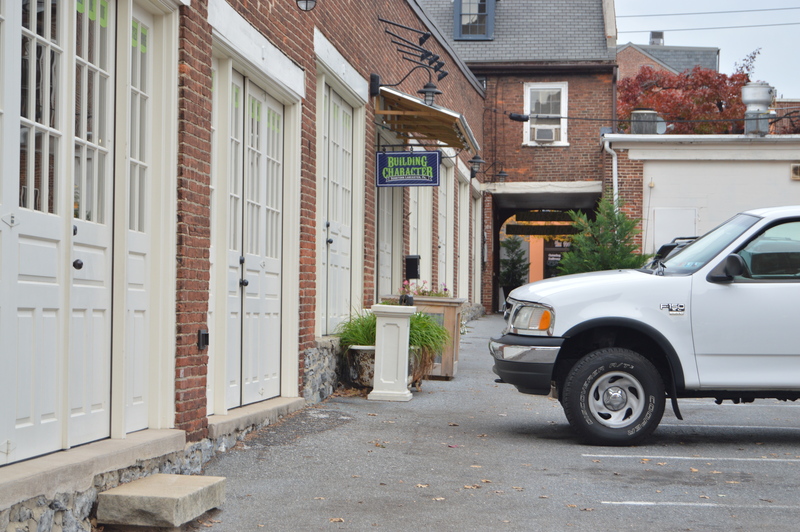 Lancaster has a wide variety of small businesses whose goals are similar to any other — to build a name for themselves. One particular company, The Candy Factory, made it their goal to create a space for these small businesses to network within the community. 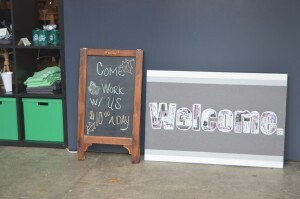 This particular networking tactic is also known as co-working. 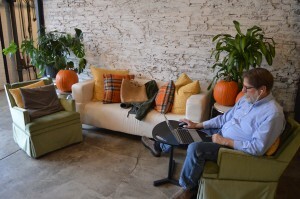 In recent years, co-working has been a growing movement of small businesses and individuals whose main priority is to network with others in their community. These individuals see this as an opportunity to benefit not only themselves, but others as well. By utilizing their own background experience with another’s background experience, they are able to produce content specific to their business or idea. 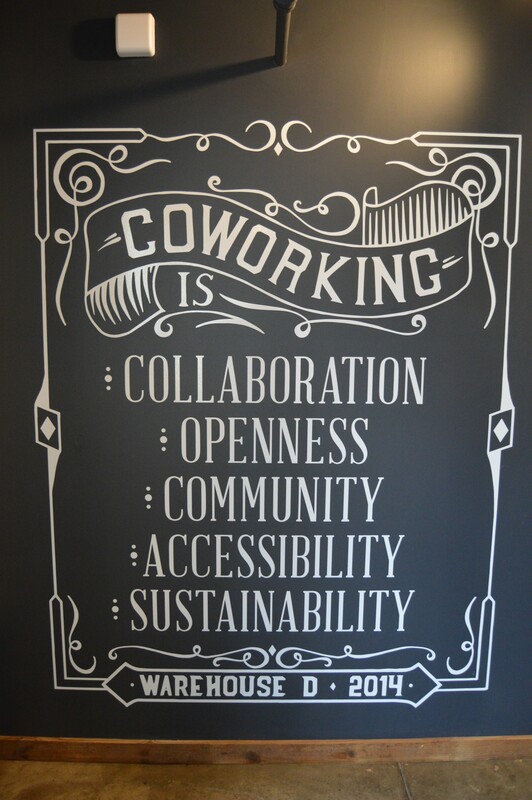 The key to co-working is collaboration. Without collaboration, individuals might not be reaching the fullest potential of the opportunities at hand. This serves as inspiration to the members of The Candy Factory. Photo Credit: Haley Dennis. 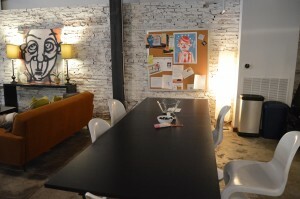 Collaboration is only one of the four main tactics that The Candy Factory uses. 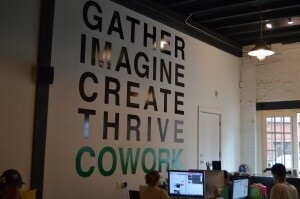 Kirby defined these under the co-working philosophy of “collaboration, community, accessibility, and sustainability,” as seen pictured to the right. 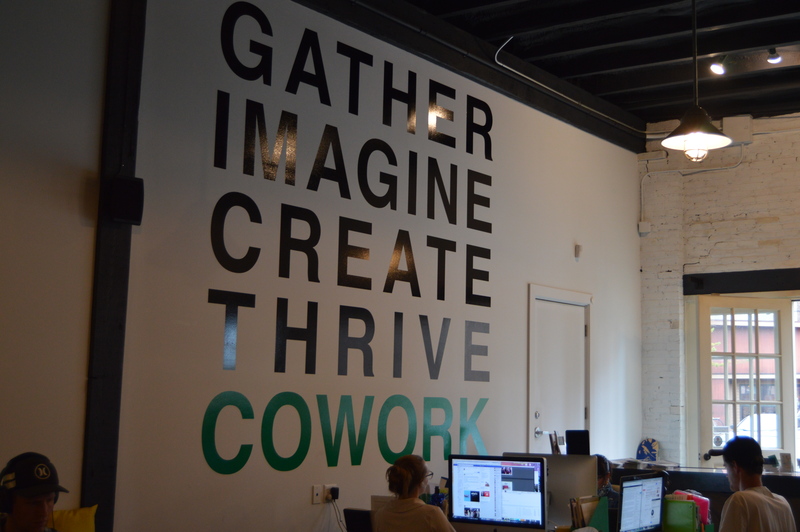 In addition to this philosophy, The Candy Factory initiates its own motto: “Gather, Imagine, Create, Thrive, CoWork,” which can be seen around the Warehouse in various places. Under this motto, the community of people are reminded that their interpersonal communication is the key to creating a sustainable business of their own. 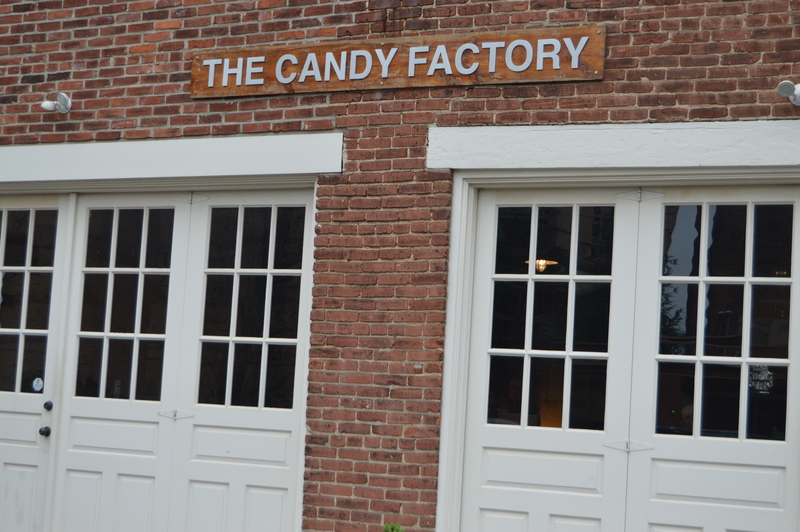 Started in 2010, The Candy Factory was first created by Anne Kirby, who had originally started her own business in graphic design and marketing in 2000. After working from home for several years, she realized that the job was very isolating and distracting. 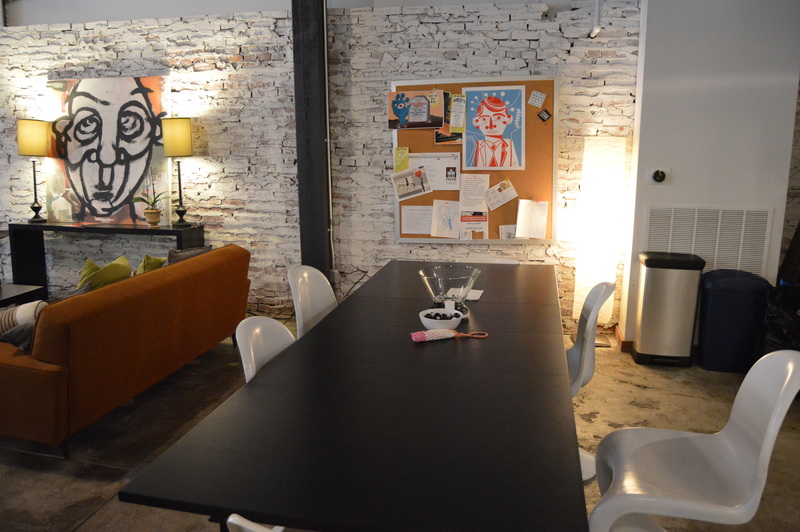 As an initiative to get out of her home, she started the Creative House of Lancaster in 2005, a co-working unit similar to The Candy Factory’s line of work, without the proper space for communication. 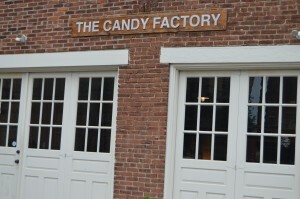 So in 2010, The Candy Factory launched its primary location in an old candy factory, hence the name. 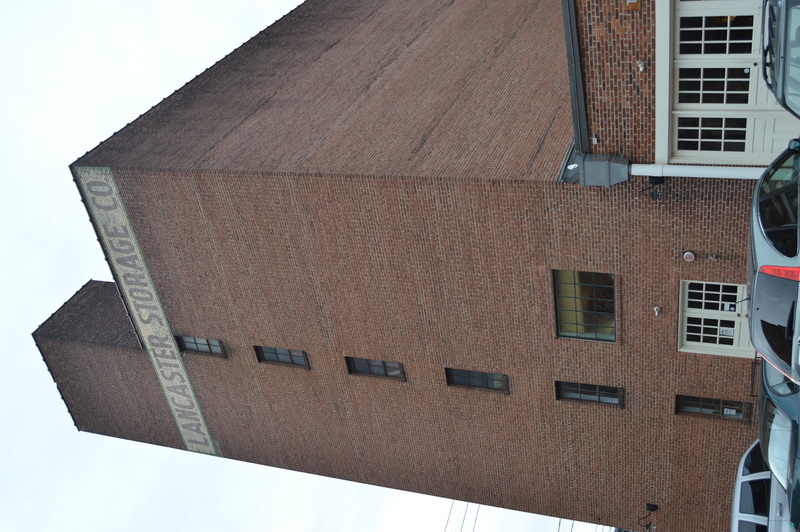 This space was then relocated a short distance to Warehouse D (of the old Lancaster Storage Company), where it currently resides. 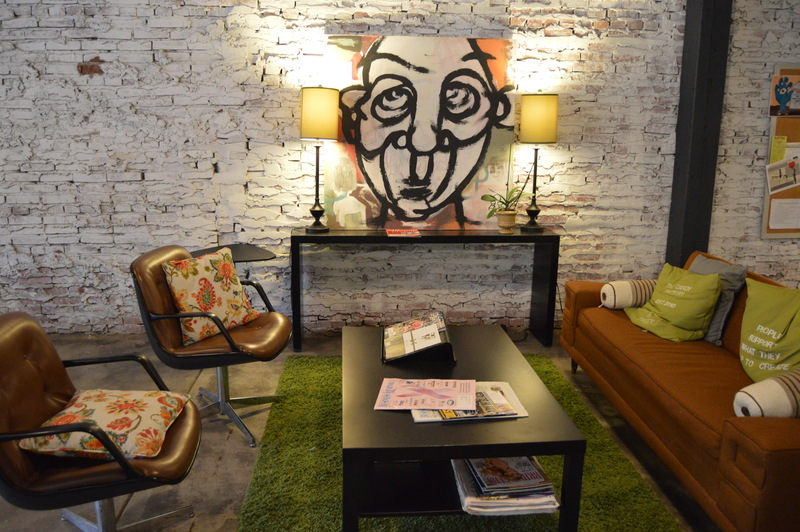 One of the most appealing aspects of the space is its interior architecture. According to Kirby, the goal was to renovate the space into a workable setting, while keeping the industrial design of the warehouse. As the warehouse was a historical building, it was necessary to retain the character of the building. 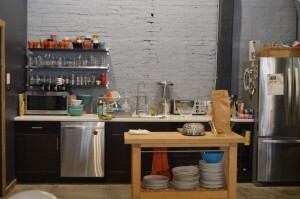 The walls are simply painted brick, the ventilation units are visible, and the open floor plan makes the space seem to have an industrial appearance. In addition to these five options, the Visa Program is also offered. 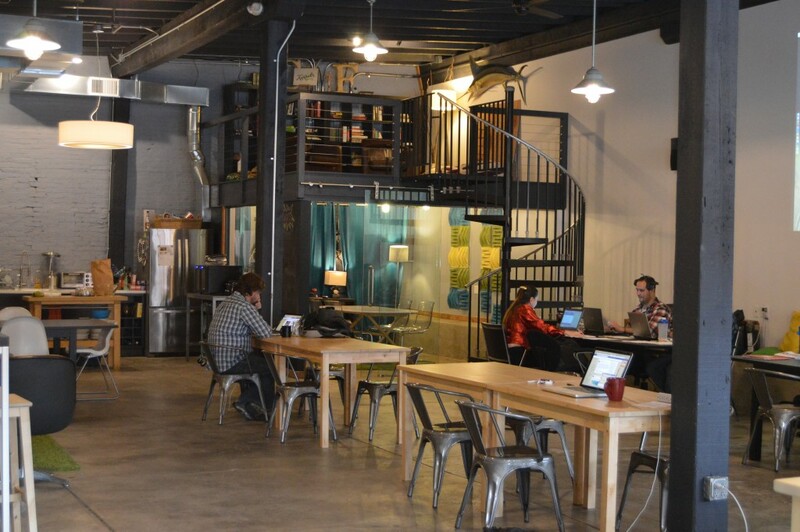 The Visa Program allows access between co-working spaces for members to travel and work in a space that is away from their own. These spaces can be found across the globe. The Candy Factory urges people to network with members all over the world, which makes this a great add-on to their membership options. 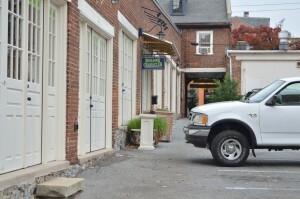 As stated before, The Candy Factory hosts a wide range of businesses and individuals. 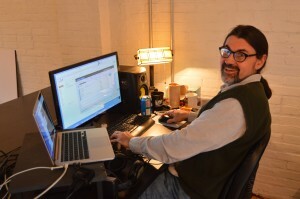 Custom software consultant, Jason Mundok, maintains two businesses working out of The Candy Factory. Mundok came to The Candy Factory after attending professional networking events in Lancaster run by Anne Kirby during the time of the Creative House of Lancaster. Once The Candy Factory was launched, Mundok became a part time member within the first year of its opening. Ironically, his work was not focused on his business, but rather for a personal podcast series, as the space was more sufficient than at home. 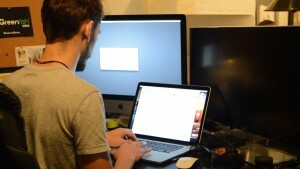 Mundok streamed his podcasts after business hours, which prevented him from actively engaging in the co-working community. Eventually, he shifted his work from home, and became readily more involved with the collaborative style of The Candy Factory. According to Mundok, “co-working has completely changed how I work.” He stated that working away from your home allows you to be more social with your community, and gains access to the skills others possess. In addition to gaining skills, you are able to talk about non work-related things, which Mundok claimed made him more productive. Another company that has recently joined the team at The Candy Factory was Greenfish Labs, a virtual reality production company. 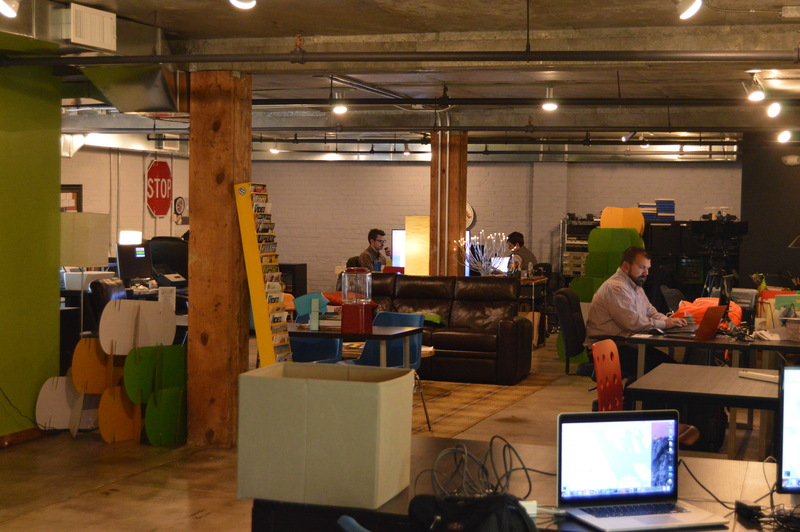 This small business focuses on creating virtual reality videos and games on a variety of platforms. 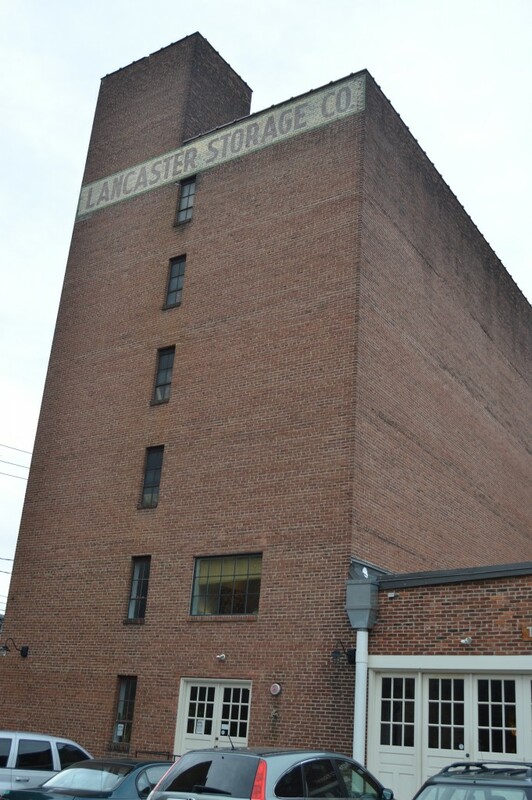 Starting less than a year ago, this small business opened up directly from The Candy Factory on July 1, 2015.Due to the available space, Greenfish Labs was able to hold a launch party for the community of Lancaster to come in and experience a small portion of their work. Patrick Malley of Greenfish Labs mentioned some of the benefits of working from The Candy Factory: “it’s nice that as you’re trying to troubleshoot problems or think of new ideas, someone from five desks down can pop their head up and give a suggestion.” Essentially, the open communication is a unanimous favorite among the members of The Candy Factory. 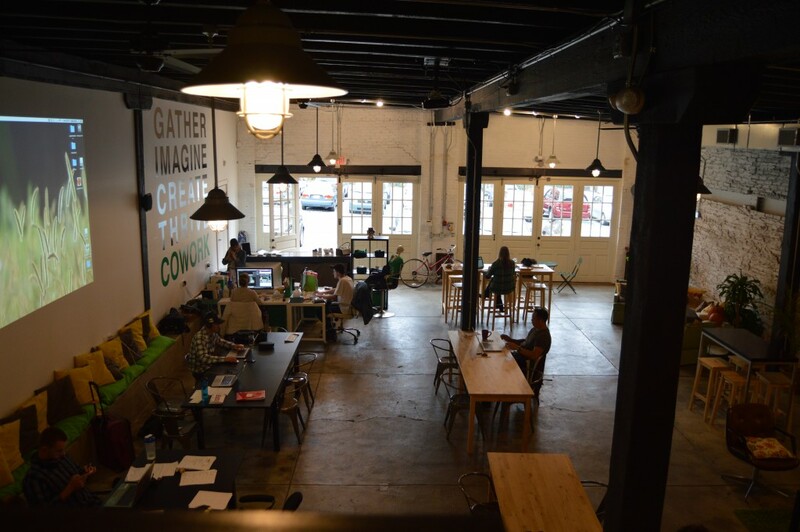 In relation to the sustainable acts of Project Green Lancaster, the co-working movement also falls under this umbrella of sustainability. Anne Kirby explains that the movement is sustainable in a variety of ways, including environmentally and economically.